Many home and business improvements may include digging in the yard for a number of reasons ranging from construction projects to gardening. 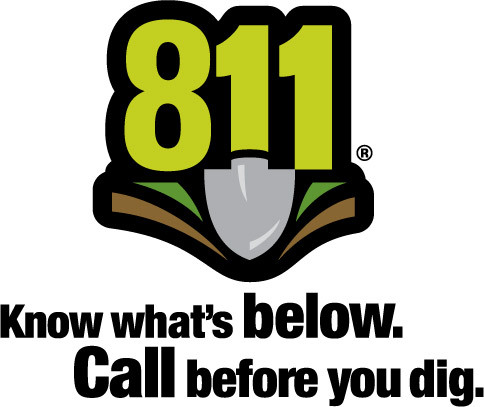 Remember to call before you dig. Iowa One Call has made it easy with their 8-1-1 number or you can simply dial 1-800-292-8989. If you choose to file the ticket online, that is easy as well at: iowaonecall.com. These numbers are answered 24 hours a day, 365 days a year. Remember to plan ahead as the request for locates needs to be called in 48 hours ahead of time during normal business hours from 7:00am to 5:00pm Monday-Friday. If you think your service address is experiencing an outage, it is important to make sure you let us know. If it is a wide-spread outage, we may already know about it and you could get an automated message when you call us at 712.580.5800. Please know that we work as quickly and safely as possible to get the power restored in a timely manner. During the summer months, when the weather is warm here in Northwest Iowa, it is easy to think about the benefits of adding a swimming pool to your yard as they are becoming easier to purchase through local retailers. SMU recommends referring to the National Electric Safety Code before installation for guidelines on where to place them in regards to electrical and communication lines that may be underground or overhead in the area.